If you're a Mechanical Engineer, you know what your job entails. You are responsible for any or all phases of the building process of some type of machine. Mechanical engineers are involved in a wide variety of industries from motor vehicle manufacturing and aerospace product manufacturing to industrial machinery manufacturing and scientific research and development. You were probably hired by the federal government, by a popular automaker, or by one of any number of other manufacturing companies. Depending on what your specific duties are, you likely work in an office setting, a manufacturing plant, or travel between both. The question is, now that you're looking for a position, can you find a resume writer who understands your occupation? A writer who talks your language? A writer who can craft a Mechanical Engineer resume that puts your best foot forward and scores the interview in a highly competitive marketplace? Former recruiter David Alan Carter recommends the following resume services for Mechanical Engineering... each with a Better Business Bureau score of "A" or better. Considering a Career Move into Mechanical Engineering? 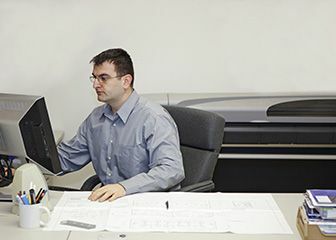 If you're considering a move into Mechanical Engineering from either a closely related field or from a totally unrelated profession, you'll be looking for a transitional resume -- and a talented resume writer to handle the assignment. Transitional resumes are some of the most difficult resume projects as they require a writer knowledgeable in at least two professions -- and the ability to identify transferable skills from one to the other. What You'll Do: Your job will likely hold you accountable for conceptualizing a design, doing research on how to build it in the best possible way, actually building it, or testing the finished product and making sure it works as planned. Before brainstorming a design, you will have to take a good look at a problem to see how a mechanical device can help to fix it. Next, a blueprint, or layout of the design, will be made to guide the builders through the construction of the machine. Building the machine usually requires the aid of other heavy machinery. Once the initial completed product, or prototype, has been made, it needs to undergo thorough testing to make sure it works properly and in a safe manner. Once the kinks have been worked out, you may be involved in overseeing mass production of the machine product. To get the job, you will need to show great skill in critical thinking and figuring things out. You should be very good at envisioning 3-D objects and performing mathematical calculations. You probably enjoy working with your hands and take a hands-on approach to solving most problems. Creativity is likely another one of your strengths. These skills are some of the most desired qualities of a mechanical engineer. Education and Training: Becoming a mechanical engineer is no easy feat. A bachelor's degree in mechanical engineering is usually the minimum amount of education required for getting the job. Completing the degree usually takes 4 years of full-time study, but it may take many students an extra year to finish. Most prospective mechanical engineers complete an internship or co-op before graduating. This invaluable experience helps the student get familiar with working in a real-world setting. Those who wish to pursue a master's degree will have better job prospects and better pay. The Future: The Mechanical Engineering profession is expected to grow at about 9% through 2020, slower than the average for all occupations. Expect demand to be tight for those few available jobs. Put the odds a little more in your favor by keeping abreast of the most recent advances in technology. The Pay: As per Salary.com, annual salaries for Mechanical Engineers I in the U.S. range from $50,800 to $69,300 (average of $60,500), with Senior Mechanical Engineers averaging $85,100. The U.S. Bureau of Labor Statistics reports a median annual wage of $78,100 for 2010.